The people of San Miguel in Baggao, Cagayan are the caretakers of Duba Cave and Underground River– a tourist spot in the area known for its icicle-like stalactites and stalagmites, its emerald water and its famous circadian flight of bats at dusk. 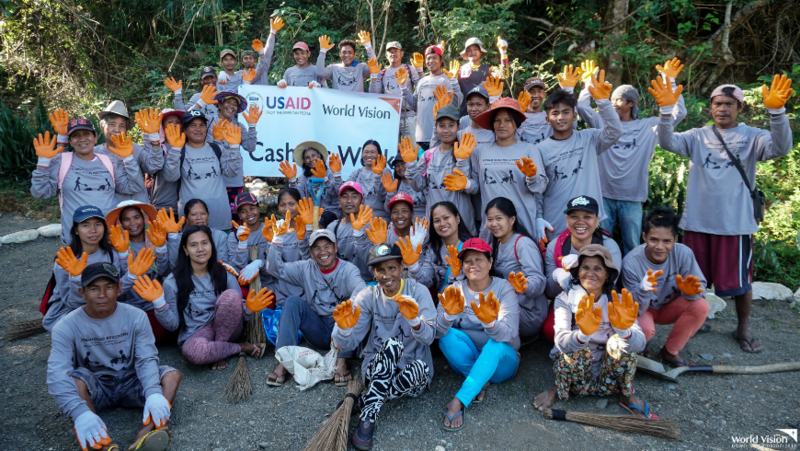 When World Vision, with funding assistance from the Office of U.S. Foreign Disaster Assistance (OFDA), implemented cash-for-work (CFW) program to help support the early recovery of typhoon Mangkhut-affected families, it was no surprise that the community chose to improve the tourist site for their project. The cash-for-work initiative is a 20-day program that caters to the Mangkhut-affected landless farm laborers in Baggao. Prior to cash-for-work, they were provided with vegetable seeds which were intended to support food security while they cope from the aftermath of the typhoon. 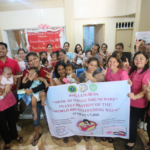 The beneficiaries were consulted on community projects they deemed necessary to work on. 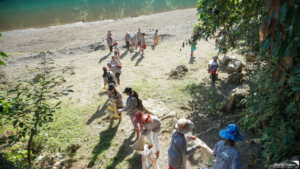 While other groups prioritized projects such as drainage and community clean ups, the group of 45 people worked on the improvement of the tourist spot. “During rainy season, it’s all mud all the way to the river. 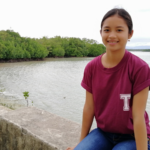 It’s not just the inconvenience of the tourists and the community people we’re concerned of but also the safety of everyone,” shares Butch, one of the beneficiaries. He and his group also recognize that if the place is not maintained, it would cost them their additional income which comes from being a tourist guide. “Every morning since we started, we would gather to improve the 300x4meter road leading to the cave,” Butch says. 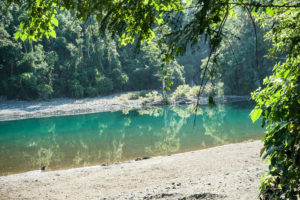 Some of the men and women would walk down the river, pass a quarter of a sack containing gravel, sand and stones to one another, while some carefully lay the materials to create a safer pathway. The rest of the team takes care of ensuring the cleanliness of the place. Thanks to this initiative, the village is now ready to accommodate a big number of cavers which will meet at Duba Cave and Underground River in October 2019. The place is also now more ready to provide tourists with an experience that will make them want to keep going back, and, in return, will bring income to the community people and the village. “This is a big help to us as we continue to rebuild our lives. This project is not just helping us individually but it also helps us improve tourism in our area,” adds Butch, adding that the P5,620 that he will get from the 20-day cash-for-work program will be used for his children’s needs, especially in their school. Typhoon Ompong, which struck last September 15, 2018, has affected more than 3.8 million people and damaged 300,000 houses, according to the social welfare department’s Disaster Response Operations Monitoring and Information Center (DROMIC). It also decimated farmlands, leaving P26.8B (USD535M) worth of damage in agriculture. World Vision immediately provided emergency essentials that included emergency shelter kit and hygiene kits, kitchen sets and other non-food items that include mosquito net and plastic mats. With the help of different partners like OFDA, the organization was also able to support the early recovery of the affected families. 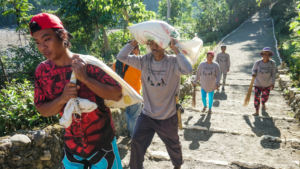 To date, World Vision has reached a total of 11,409 households, 1,714 of whom received rice or corn seeds and cash inputs for labor, while 1,521 landless farm laborers received vegetable seeds and orientation on good agricultural practices. Stay up to date with World Vision Philippines! Follow us on Facebook, Twitter and Instagram. At World Vision Run 2017, you can run to make a difference in the lives of children who need your support. Home, no matter how circumstances change, will always be home. This remains true for the children of Marawi City. Send me updates about World Vision Philippines via email. By clicking Subscribe button, you agree to our Terms and that you have read our Data Privacy Notice, including our Cookie Use. We respect your preferences and you can change the way you hear from us at any time, or opt-out from all communications by contacting us. We will treat your data with the utmost respect in line with the current Data Protection laws and policy. We are eager to know more about your company’s priorities and services and how we can partner together to help poor Filipino children. Kindly use this form to send us your enquiry. Please expect an email from our corporate partnerships team very soon.